The Olive Tree Apartments comprise of 2 one bedroom apartments and an open plan studio, one pool view maisonette and a charming sea view maisonette in Chania (plus the grand maisonette sea view) welcoming guests in an atmosphere of warmth since 2002. 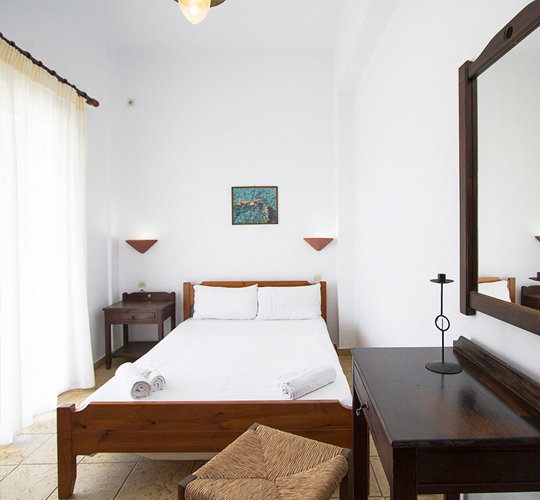 The 6 rooms of Olive Tree can accommodate 15-20 people in a tranquil and charming environment. 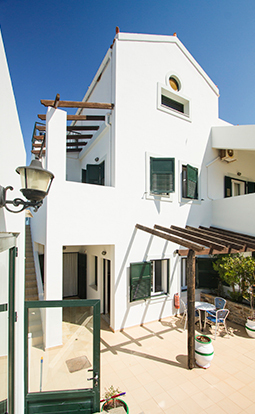 Under the ownership of Stelios Milonakis and his wife Angela Fenwick this small vacation rental offers a genuine home away from home experience for travellers seeking quality and affordable accommodation in the island of Crete in Greece. The unique hospitality is infused in the hotel’s homelike rooms, studios and apartments, breathing the essence of authentic island life. 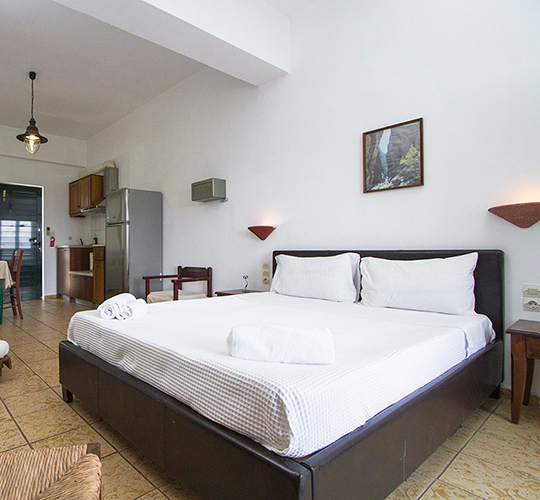 These cosy and affordable rooms and apartments in Chania, Crete are set in a scenic location right at the entrance of the picturesque village of Kaliviani in Kissamos. 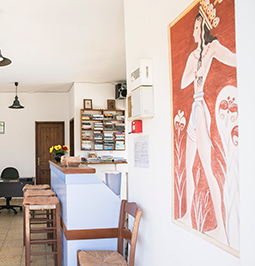 Their strategic location allows guests to enjoy some quality time with their family and friends in a haven of relaxation or set off for an amazing day on the beach of Balos or the spellbinding town of Chania situated nearby. Ranging from 45 to 75 m² the Olive Tree Apartments are ideal for tailored long stay vacations or short term vacations for guests seeking a private affordable accommodation with all needed facilities. 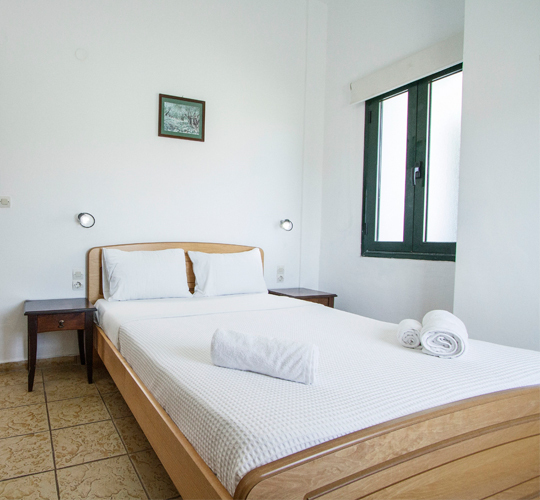 The Olive Tree Apartments offer some of the finest sea view rooms in Chania fitted with all modern conveniences. 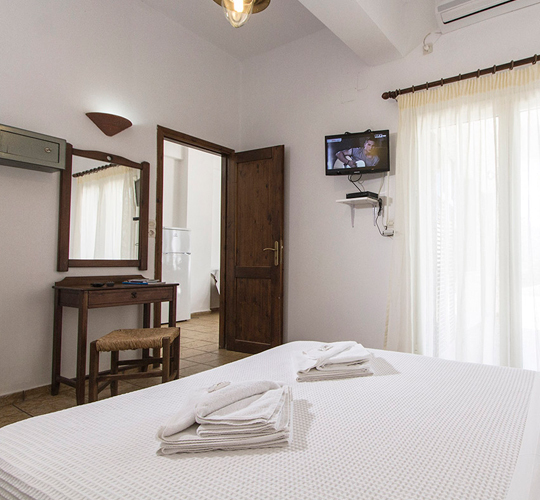 Very functional and fully equipped these charming rooms ensure a relaxing stay in a haven of tranquillity. The dazzling pool allows for refreshing breaks from the sun and quiet outdoor lounging while the strategic location gives guests the opportunity to completely unwind or discover some of the most enchanting regions of Crete situated nearby. A concierge service is available to cater to every need, arrange exclusive services and transfers and give guests the opportunity to enjoy a holiday of a lifetime.